The Metropole is a small with 54 well furnished rooms all with attached bathroom. The is an ideal for business men. It has always been known as the "Economic Business ". Located in the heart of the city it only takes a few steps to reach Raffles City. It provides convenient access to various types of financial and business transactions and commercial activities. You are insured of the lowest internet-rates. But you can pay at the reception of Metropole Hotel, Singapore. Without reservation costs and at the lowest price! After your reservation you receive a conformation by e-mail. We wish you a pleasant stay at our hotel in Singapore. 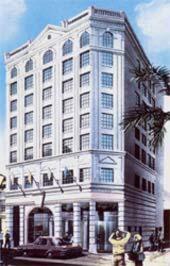 Metropole is an ideal lodgement for business men in Singapore. It has always been known as the "Economic Business ". Located in the heart of the city it only takes a few steps to reach Raffles City, one of the highest buildings in South East Asia, and the City Hall MRT (subway) station. Nearby is the classic Raffles . It provides convenient access to various types of financial and business transactions and commercial activities, to banquets or to a food centre for a favourite meal.